Every wedding should have beautiful flowers. My reputation is based almost entirely on exquisite wedding floristry. Most of my time is spent arranging these beautiful blooms; most clients come via recommendation, be they previous couples, friends or their families who saw my flowers on the day or venues where I am a preferred supplier. Where to begin? I should say first and foremost, it’s not about me but always about you. I believe passionately that every couple I work with is unique and that one style does not fit all. So whilst you might like a particular look, a flower, colour or a particular style, I’ll always consider you, your personality, your likes and just as importantly, your dislikes. During our consultation I can show you a myriad of beautiful flowers available at your chosen time of year. My intention is always to create original one-off bouquets and arrangements, to capture your vision for one of the best days in your life. I’ve a wealth of experience which means I've encountered many trends over the years and whilst always embracing the new and avant garde, here at The White Horse Flower Company seasonal abundance and natural beauty is and always will be my signature style. Confidently I create a variety of floral styles from current trends for rustic, just gathered from the garden looks, right through to luxuriously opulent. From verdantly green, abundant, fragrant, flower-filled, to the quirky and madly wild! 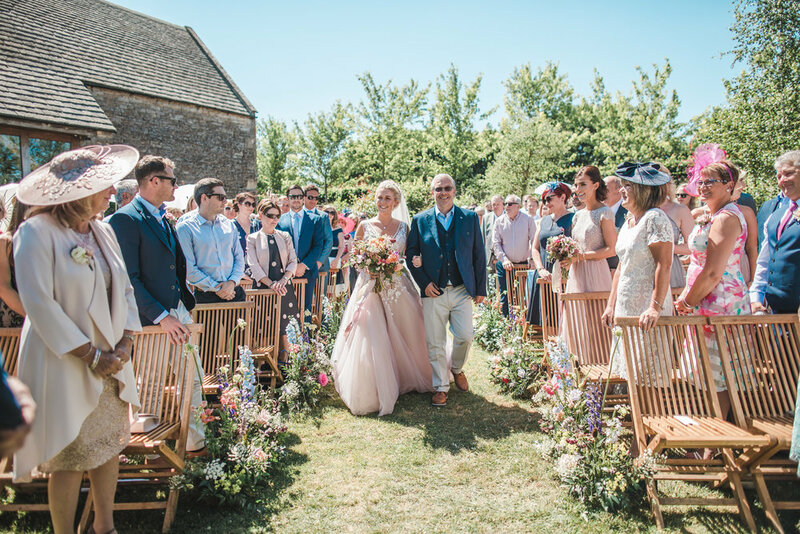 Whether it’s an outdoor ceremony in a woodland setting, a country church or a stately home reception, my intention is always to create truly beautiful original floral memories that will last a lifetime.